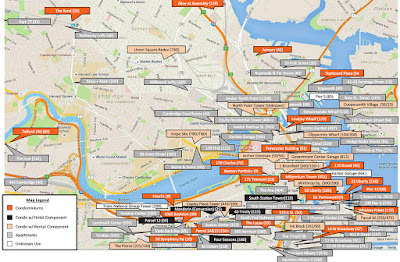 Above is a detailed map of residential projects in the Boston area either under construction, planned, or recently completed. The map comes courtesy of real estate marketing concern the Collaborative Companies and is drawn from internal data as well as from information from the City of Boston. The gray bars represent apartment projects. 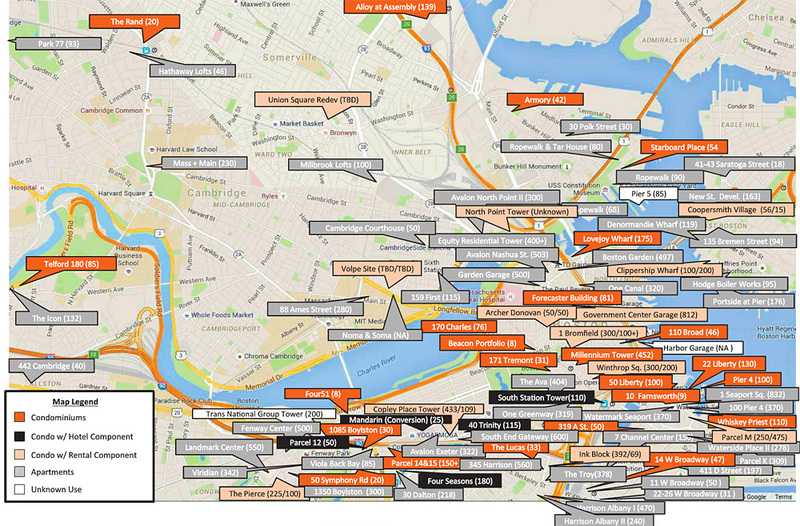 No surprise that such projects seem to dominate the map: The region is in the mist of years-long apartment-building boom that may or may not be slowing.